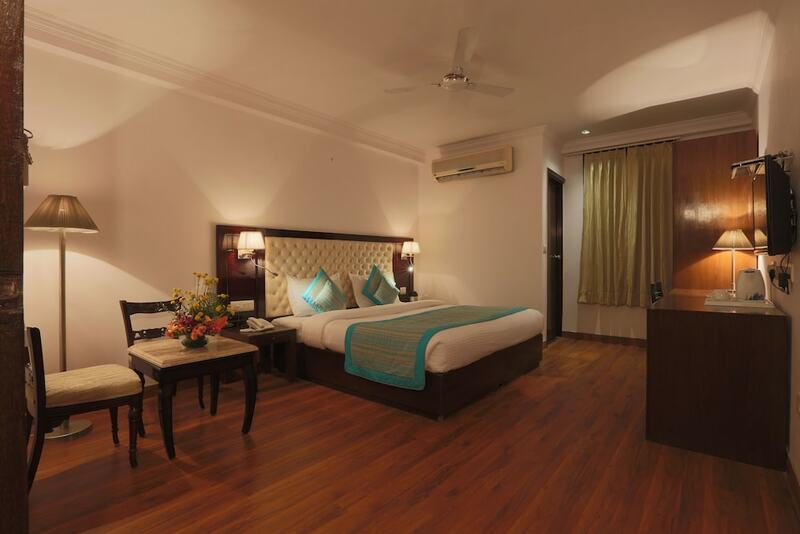 Located in South West, this hotel is within 1 mi (2 km) of Worldmark and Aerocity. Nelson Mandela Road and Jawaharlal Nehru University are also within 3 mi (5 km). Delhi Aero City Station is 16 minutes by foot. Along with a restaurant, this smoke-free hotel has a coffee shop/café and a 24-hour business center. Free buffet breakfast is provided, as well as free WiFi in public areas, free valet parking, and a free manager's reception. Other amenities include a conference center, 24-hour room service, and a meeting room. All 42 soundproofed rooms have 2 bedrooms and provide free WiFi and free wired Internet. Guests will find upscale amenities like fireplaces and tablet computers, along with thoughtful touches including bathrobes and slippers. Dining options at the hotel include a restaurant and a coffee shop/café. Guests are offered a complimentary breakfast each morning and a complimentary manager's reception is offered on select days. A computer station is located on site and wired and wireless Internet access is complimentary. This hotel offers access to a 24-hour business center, limo/town car service, and a meeting room. Event facilities measuring 26910 square feet (2500 square meters) include a conference center. For a surcharge, the property provides a roundtrip airport shuttle (available on request) and a cruise ship terminal shuttle. This Art Deco hotel also offers a terrace, tour/ticket assistance, and complimentary newspapers in the lobby. Onsite self parking and valet parking are complimentary. Hotel Waves is a smoke-free property. A complimentary buffet breakfast is served each morning between 6 AM and 10:30 AM. The hotel offers a complimentary manager's reception on select days. Hotel Waves has a restaurant serving breakfast, brunch, lunch, and dinner. Start your day with a free buffet breakfast, available daily from 6 AM to 10:30 AM. The hotel hosts a free manager's reception for you to enjoy. You can order a meal from 24-hour room service. Rollaway/extra beds are available for INR 700 per stay. Cribs (infant beds) are available for INR 500 per night.